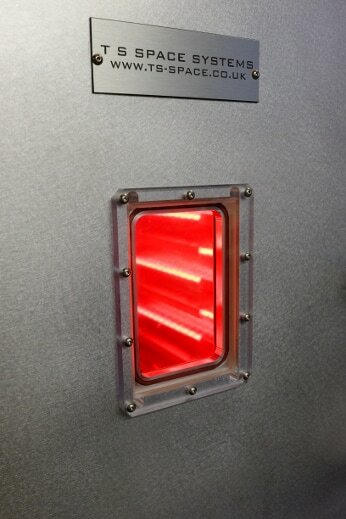 ​Our thermal cycling equipment covers both rapid atmospheric cycling and thermal vacuum needs. 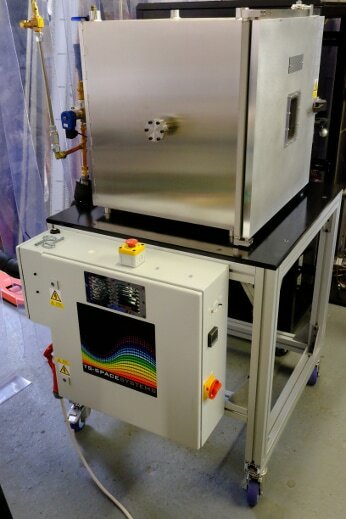 The rapid cycling range offers facilities to cycle at atmospheric pressure in inert gas at between 2 to 12 minutes dependent on sample size, mass and temperature range (+200°C to -180°C available). Vacuum thermal cycling is provided by cryogenic shrouds with infra-red heaters or hot/cold shrouds using a liquid heat exchange medium. 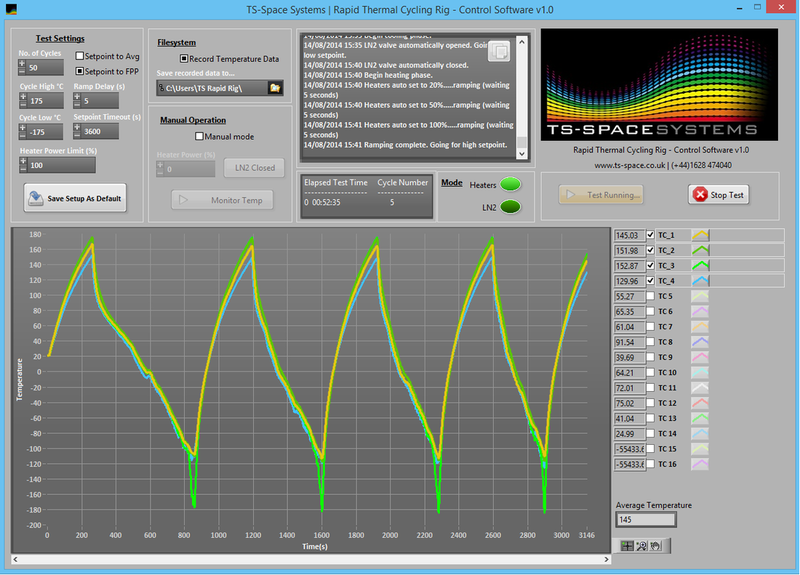 Optional computer control with graphing and data gathering is also available. All TS-Space Systems products can be tailored for specific customer needs.